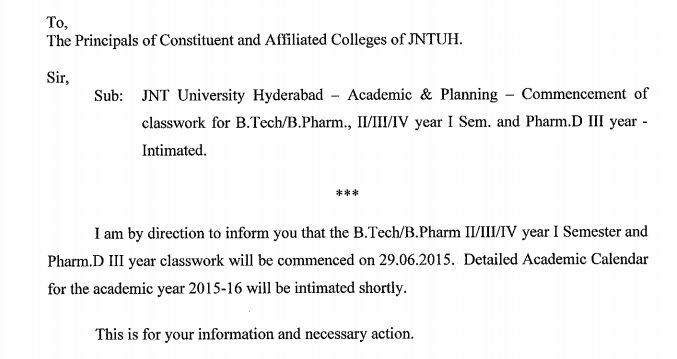 JNTUH B.Tech/B.Pharmacy 2-1,3-1,4-1 Class Work Info June 2015 , Jntu Hyderabad B.Tech-B.pharmacy Class Work Commences From June 29,2015. Jntu Hyderabad University Released the Notification About Class work Commencement For JNTUH B.Tech/B.Pharmacy 2-1,3-1,4-1 Sem and Pharm.D 3rd Year. Check official Notification From Above.